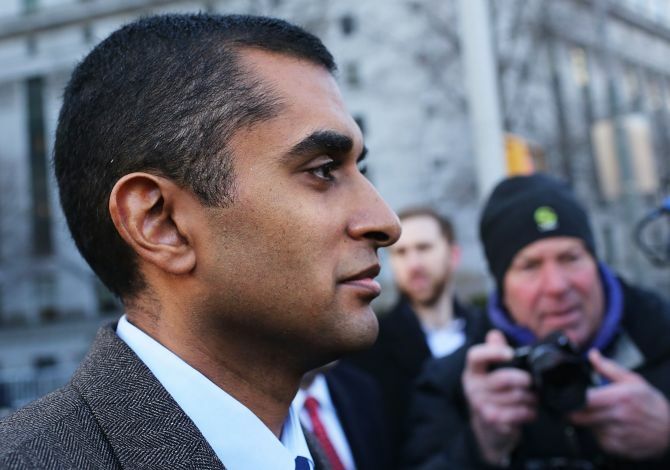 Years before he was accused of insider trading, former SAC Capital Advisors portfolio manager Mathew Martoma forged a Harvard transcript, falsified an email, and created a dummy forensic computing company to try to cover his tracks, according to a court document unsealed on Thursday. Martoma was eventually expelled from HarvardLawSchool over the incident, according to the document, which began with his forging a Harvard transcript to submit an application for a clerkship. The revelations, which date back to 1999, came as government and defense lawyers prepared to make their opening statements in Martoma's high-profile insider trading trial on Friday. Image: Mathew Martoma and his wife Rosemary. 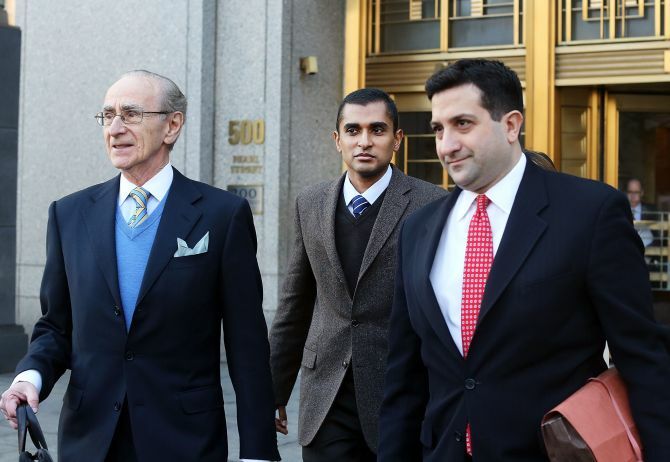 Martoma's lawyers on Thursday lost a battle to keep the facts surrounding Martoma's expulsion from Harvard Law out of his insider trading trial. News of Martoma's Harvard troubles came to light in two orders issued by US District Judge Paul Gardephe in which he said documents related to a disciplinary proceeding against Martoma in 1999, while he was a student at Harvard, should be unsealed. Martoma's lawyers had fought all the way to the 2nd U.S. Circuit Court of Appeals to keep the papers secret, arguing he would suffer embarrassment and his right to a fair trial would be violated. The 2nd Circuit denied his appeal Wednesday. 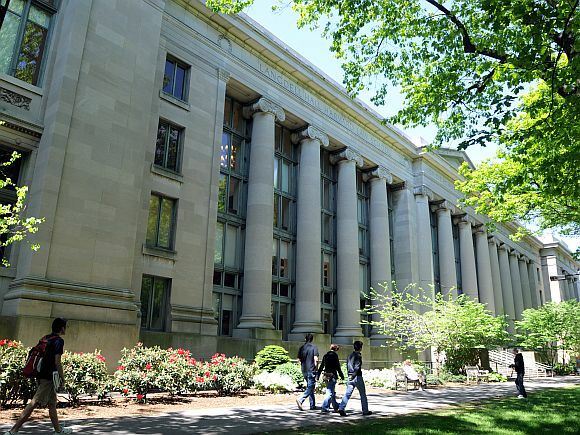 Image: People walk outside Harvard Law School's Langdell Hall. Lou Colasuonno, a spokesman for Martoma, declined to describe the event at Harvard, but said it occurred 15 years ago and has no bearing on the case. "Raising it now is a transparent effort by the government to unduly influence the ongoing court proceedings," Colasuonno said. 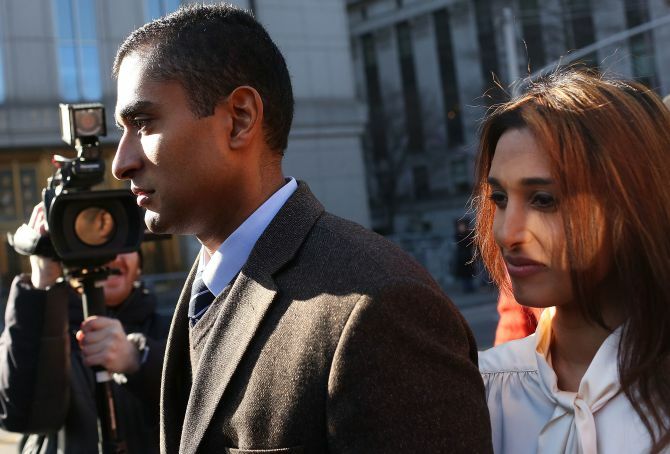 According to one of the orders, which was unsealed Thursday, Martoma, then a Harvard Law student, used computer software to create a fake transcript which he then sent to federal judges in an attempt to secure a clerkship. Based on his beefed up transcript, he landed interviews with several judges. Image: Mathew Martoma (C) walks with his lawyers after leaving Manhattan federal court following his arraigned on insider-trading charges. But the lie caught up with him and Harvard initiated disciplinary proceedings. During the proceedings, Martoma changed the date of an email before submitting it as evidence of his innocence. He also submitted a computer forensic report about the email with the falsified date, but did not tell the disciplinary committee that the company that produced the forensic report was his creation. Image: Mathew Martoma leaves Manhattan federal court following his arraignment on insider-trading charges. A spokesman for Harvard, Robb London, said the school does not comment on disciplinary proceedings, although he said it had no record of Martoma graduating. In his ruling, Judge Gardephe noted the government "does not seek to introduce the law school evidence during its case-in-chief," but would instead use it "to rebut particular arguments made by the defendant." Specifically, according to the judge's order, prosecutors were planning to use the evidence to counter any point Martoma's defense team tried to make about the lack of forensic evidence in the government's case by proving Martoma understood the "importance of minimizing electronic evidence that could establish his guilt and his capacity to alter such evidence to fit his version of events." 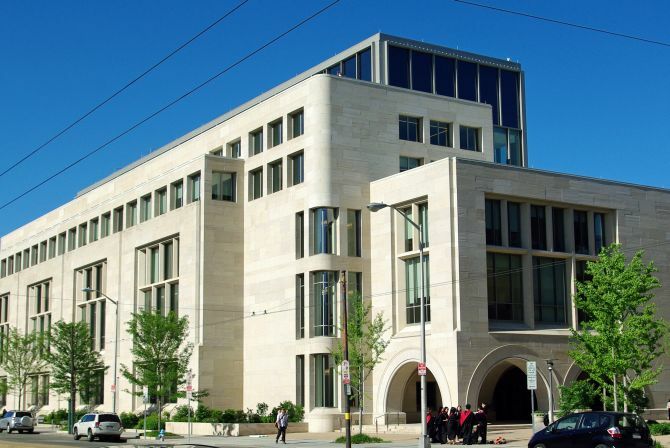 Image: Harvard law School's Wasserstein Hall. "It is undisputed that Martoma falsified the grades," Judge Gardephe wrote, as were the rest of the facts Martoma's team was looking to suppress. "The embarrassment Martoma will suffer if the law school evidence is disclosed does not trump the presumptive right to public access that attaches to substantive pretrial motions." Martoma, 39, is one of eight current or former SAC Capital employees to face criminal insider trading charges. He chose to go to trial rather than plead guilty and cooperate with prosecutors, an option six others took. Another, Michael Steinberg, was convicted on insider trading charges in December. Prosecutors accuse Martoma of arranging trades in Elan Corp and Wyeth based on nonpublic information he got from two doctors involved in a clinical trial for an Alzheimer's drug. Wyeth was later acquired by Pfizer Inc. 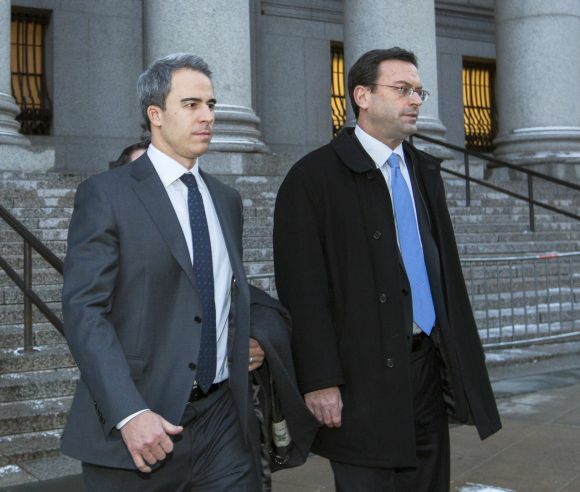 Image: Michael Steinberg (L), a top portfolio manager at Steven A. Cohen's SAC Capital Advisors hedge fund, departs Federal Court in Manhattan after being found guilty on charges that he traded on insider information. The trades enabled SAC Capital to make profits and avoid losses of $276 million, a sum prosecutors say is a record in a U.S. insider trading case. SAC Capital pleaded guilty to fraud charges in November stemming from employees' insider trading. The hedge fund has agreed to pay $1.8 billion in criminal and civil settlements. 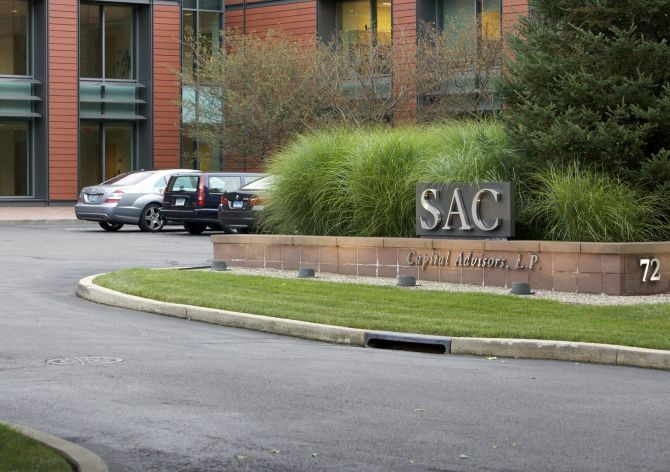 Steven A. Cohen, the founder of SAC Capital, has not been criminally charged but faces an administrative action by the US Securities and Exchange Commission seeking to bar him from the financial industry for failing to supervise Martoma and Steinberg. He denies wrongdoing. In court on Thursday, Judge Gardephe and lawyers for both sides agreed on the seven women and five men who will hear the case against Martoma. The jurors range in age from 24 to 66 and include an employment lawyer, a city bus driver and a film professor who spent much of his time in court with an unlit cigar in his mouth. Four alternate jurors were also expected to be selected on Thursday afternoon. The judge said opening statements would start Friday. After leaving Harvard, Martoma went to StanfordUniversity where he earned an MBA. 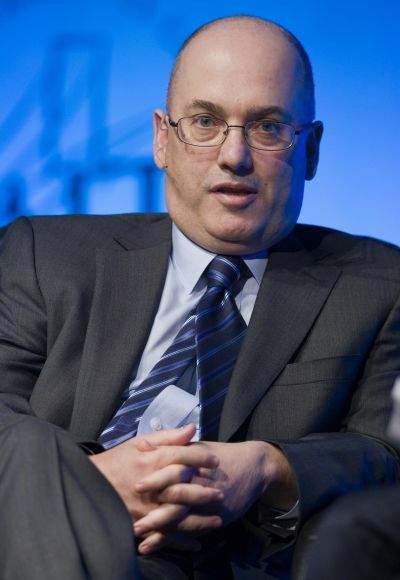 Image: Hedge fund manager Steven A. Cohen, founder and chairman of SAC Capital Advisors.